Have I mentioned my first name is Rose? Yes. Rose. Like the flower. No. it is just Rose. I have never really liked the name and fantasied about changing it pretty much my whole life. I even told a bunch of people to call me Rosella, cus I felt it sounded better. Rosella is actually a parrot specie. To think I preferred being addressed as a parrot to being called a sweet smelling flower is mind boggling. Apart from having people call me Rosa in all shades of nigerian intonations and occassionally Ross, I hated the name even more when I found out the circumstances behind it and blamed my parents for not giving naming me any thought. You see, I was born premature at 8 months cus my mum was sick with typhoid. My dad worked 2 states away and didn’t believe the news of my birth as he already knew my mum expected delivery date by heart. My aunty helped take my mum to the hospital and when I was born, she asked that I be named after her. So I was named Rose, after my aunty. Sim is the shortened part of my tribal name. It is more like a pet name my folks call me. Only recently, I had a conversation with a friend and it Evoked deep thoughts about my name and what I represent. I have come to accept my name. Rose. It suits me perfectly. I have torns that can hurt people. I am a symbol of love. God loves my folks so much he gave them a rose. Thankyou for reading. Never thought I’d write this or even remotely feel this way about my name. FOLLOW or SUBCRIBE via email so you don’t miss my next post. (You’ll receive an email immediately to confirm your subcription). I think that you have a lovely name. I like the name Rose. I was named after my Great Uncle who was a fighter pilot during the 2nd world war. You are definitely beautiful. Have a lovely day. I always thought your name is Sim… Rose is a very nice name. Glad you learned to like it. My name is Sim. I don’t know if my folks remember my name is also Rose. Everyone is used to Sim. Names are powerful things! 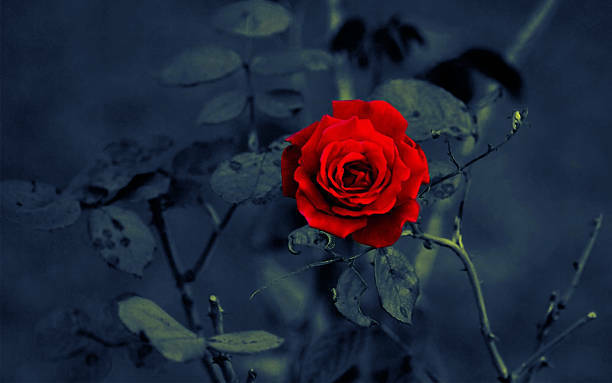 Whether you use the name Rose or not it is still a part of you – a lovely name rich in symbolism!! Many are ambivalent towards their given names, especially in the West, where naming a child is often seen as a test of a parent’s creativity. The naming of a child is a spiritual act, and so should not be undertaken frivolously. Your parents named you well. Seriously! people can be annoying. I didn’t use to like my my English name, till I here older. I still love and prefer my vernacular name though. I’ve met some people who feel the same way too.